Since it began as a single-room preschool in 2007, Willow Oak Montessori has dedicated itself to helping children achieve their unique potential by nurturing self-confidence and independent decision making in a stimulating, creative, and diverse Montessori community. Willow Oak Montessori Children’s House is a vibrant, tuition-based preschool through kindergarten program that serves approximately 40 students in a two room rented community center on Hamlet Chapel Road in Chatham County, North Carolina. The Children’s House has had the privilege to serve many families and has been home to many wonderful memories over the past seven years. Willow Oak Montessori: A Public Charter School In August of 2013, Willow Oak Montessori opened a new tuition-free public elementary school in northeast Chatham County. Willow Oak Montessori Charter School was a labor of love for our community, which envisioned the Montessori philosophy continuing to be accessible to school age students when they aged out of the Children’s House program. Now any child in North Carolina can apply to be a part of this dynamic learning community. The school currently serves 210 students in grades 1-7 and will grow by 30 students each year until it reaches 270 students in grades K-8. Diverse Learners. One Community. Shared Values. These three phrases capture the essence of what makes Willow Oak Montessori special. We are a community passionate about not just seeing, but also respecting each child as a unique human being intended to grow in his/ her own way.We realize that staying committed to this vision requires the support of a strong community, and we have organized our community around a shared set of values that include individual growth, interdependence, peaceful cooperation, and respectful care. In short, we are opening doors to the world for our students! Willow Oak Montessori has been open­ing doors and planning for the future since beginning as a single room preschool in the Fall of 2007.Thus far, our planning has been focused on our human resources, our community, and developing a deep commitment to our mission of providing an authentic Montessori learning experience in Chatham County. Now it is time to open more doors by providing the campus and facilities that our families and faculty deserve as they undertake the important work of opening our children to the world. Septic limitations at the current Children’s House location prohibit us from offering a longer day to our eldest students, parking is limited, and office and storage space is inadequate. Our Charter School, with waitlists at all grade levels, is currently bursting at the seams in a commercial office building with limited outdoor space. We require more and better space with comfortable integrated indoor and outdoor learning environments for all of our students. What is happening inside our classrooms is already magical. A well-planned beautiful new campus and facility will only add to that magic. In the past 15 years, the number of U.S. schools following a Mon­tessori curriculum has increased by 127%. Why such renewed interest in a teaching philosophy pioneered by an Italian physician in the early 1900’s? The fact is that Maria Montes­sori was a woman ahead of her time. The skills that are valued in today’s workplaces—curios­ity, innovation, critical thinking, and teamwork - are skills that Montessori students practice every day. 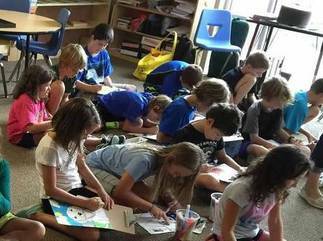 of our school, there is exactly one public Montessori school—ours. In that same radius, there are several private Montessori schools with average tuition between $10,000 and $15,000 per year, making this beautiful educational philosophy available to only a limited few who can afford it. Maria Montessori’s first school— Casa dei Bambini—served children of working parents in the slums of the San Lorenzo quarter of Rome. In a run-down tenement building, she demonstrated that all children had potential and that all children could learn when given the right support by adults. open Willow Oak’s first preschool classroom, accessibility was a priority. Those founding parents made sure that the school was affordable. The Board of Direc­tors carried on that tradition by making a commitment to financial aid early in the school’s growth. When it was time to decide how to grow into an Elementary program, accessibility remained central to the conversation. On one hand, the school could offer “perfect” Montessori to the few who could afford private school tuition. On the other hand, the school could tackle the challenge of implementing authentic Mon­tessori in a public school setting accessible to all. The Board coura­geously chose accessibility. The reported race/ethnic composition of our charter school students is: 80% White, 11% Multi-Racial, 5% Hispanic/Latino, 2% Asian, and 2% African-American. For the Children’s House it is: 73% White, 17% Multi-Racial, 7% Hispanic/Latina, and 3% African-American. While income is only one component of socioeconomic status, we know that 17% of our Charter School students would qualify for free or reduced lunch if they attended a traditional public school and 83% would not. In addition, 14% of Children’s House students receive financial aid from the school and 86% do not. While we have students everywhere along the ability continuum at both schools, 12% of our charter school students are classified as Students with Disabilities under the Federal IDEA legislation and 88% are not. Because of our commitment to keep the Children’s House affordable and the fact that charter schools do not receive any public funding for facilities, we are continuing our Capital Campaign called “Opening Doors to the World” to create a campus with inte­grated indoor and outdoor learning environ­ments for all of our students. A new 30,000 square foot facility will be located on a 15-acre parcel of land on Andrews Store Road in northeast Chatham County. One shared campus will provide space for 336 students, including three primary class­rooms serving children 3-6 years of age, one stand-alone kindergarten class, three lower elementary (1st-3rd grade) classrooms, three upper elementary (4th-6th grade) classrooms, and four middle school (7th-8th grade) classrooms. All of our classrooms will be large enough to support the space requirements of the Montessori philosophy, and will have inte­grated outdoor learning environments adja­cent to the indoor space. The doors to our classrooms will both literally and figuratively open our students to the world. We will have playgrounds targeted at each age group and plenty of natural space for outdoor learning and exploration. A multi-purpose room and central courtyard will provide space for com­munity gatherings. The initial building project contemplates three school buildings, but space for a fourth is included in the plan for future develop­ment as our development capacity grows. That fourth building could house specials classrooms, a gym, and/or other spaces that are not included in the first phase. Moderately-sized, mission-based charter schools like Willow Oak meet the unique needs of students and families while reducing stress on the local traditional public school systems (class sizes, need for additional facilities, etc.). We have even welcomed several families back into the public school system who were previously homeschooling their children. The last elementary school built in Chatham County cost county taxpayers almost $17 million to build. The building has been designed to allow for the secure rental of multi-purpose space to other community groups outside of school hours. Our schools have partnered with community organizations like Learning Outside, Haw River Assembly, and Carolina Meadows to enhance the learning opportunities available to our students while supporting the missions of those local organizations. It will take support and generosity from our whole community and some from outside of this community to help us open these new doors to the world. Further success with our capital campaign will allow us to fulfill our mission more fully while maintaining the very important goal of financial stability for the long term. The estimated cost of the building project is $5 million. Willow Oak Montessori seeks to secure additional donations and pledges by December 2017 so that financing requirements can be met and ground broken in time to open the doors to our new facility in January 2019. While these goals are ambitious, we are well on our way with generous support from our families, friends and others who wish to endorse our child-centered, vibrant approach to education. Funds raised through the campaign will be used as a down payment to secure desirable financing and to close the gap between operating funds available for mortgage payments and the actual payments required for the facility size we need. spaces for many more children to learn, grow, and explore. It also means a greater diversity of educational offerings to better meet the needs of families in our community, including extended-day and after-school programs. We are many months into the detailed planning, designing, and financing of this project. We have the leadership, the staff, and the community support required to continue to create the reality we envision. Click the globe below to support this exciting project now! Our community is as vibrant as it is today because of the past generosity—in time, talent, and treasure—of our parent community and our students’ extended families. 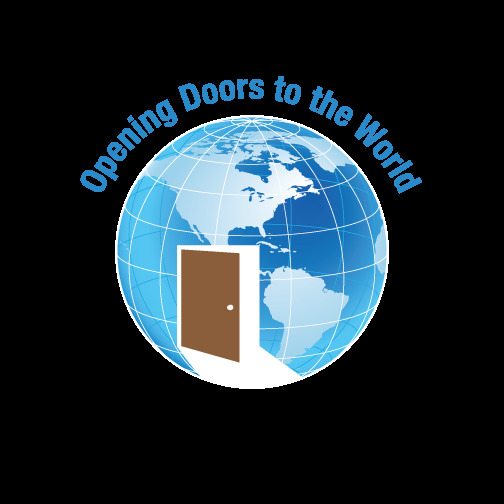 everyone in our community to dig deep and make a personally meaningful donation or 15-month pledge in support of our Opening Doors to the World Campaign to help us reach our worthy goals. Thank you!